Here at Thistle Du we specialise in Flower delivery for any occasion; Wedding, Funeral, Romantic, Same day delivery to North, South, East Ayrshire and all surrounding areas. Whether you're looking for something special to commemorate a special day or a gift for a love one, email/call us today or order online for a hand crafted floral arrangement to suit any occasion from our amazing highly skilled artists. Looking for something a bit unusual? Fantastic! We cater to all tastes and love the challenge of something a bit unique. With over 30 years of experience in the industry delivering from Darvel, Irvine Valley all across Ayrshire we're certain we'll be able to make the perfect gift for that someone special.  Why Choose Thistle du Florist? A friendly professional florist based in Darvel. We deliver fantastic floristry and cater for all occassions and requirements, on every delivery.